We are delighted to share this set of extensively well-researched ratio word problem worksheets which will help children to grasp the basics of ratio calculations. 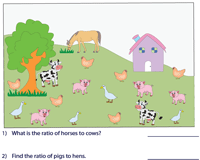 These worksheets include simple theme-based ratio word problems, finding the ratio between two quantities, word problems that require children to find a part from the whole, part-to-part, a whole from the part, reading pictographs, bar graphs, and pie graphs. Use the various download options to grab all our PDF files under this topic. Look at these vivid themes and answer the word problems. Express in ratio and reduce it to the lowest term. 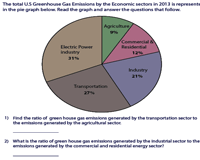 Use the answer key to verify your responses. 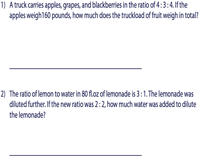 This set of well-researched ratio word problems include factual and educative real-life scenarios. Find the ratio between the two quantities. Express your answer in the simplest form. Based on the data given in these colorful worksheets, read and answer the extremely engaging part-to-part ratio word problems that ensue. You have an option to download this set of worksheets in a single click. 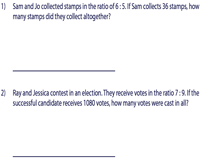 This collection of ratio word problems will require students to find the parts from the given ratio and the whole. Set up the simple equation and solve the word problems. Based on one part of the number and the ratio provided in these word problems, the children need to find the share of the other part and the whole. There are five word problems in each worksheet. 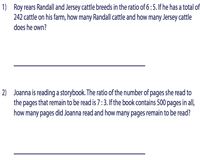 This set of assorted word problems contains a mix of finding part-to-part, part-to-whole, and finding the ratio. Some word problems may require you to find the ratio based on the increase or decrease in quantity and vice versa. Use the key to find the total of each item. Read the pictograph and answer the word problems. The word problems are based on finding ratio between the quantities. Do not forget to reduce the ratio to the lowest term. 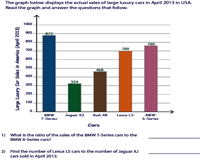 The data provided in these bar graphs are borrowed from real-life scenarios. Read the bar graphs and write the ratio in the simplest form. 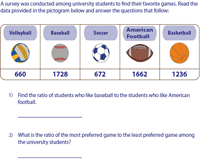 The worksheets in this section contain ratio word problems based on pie graphs. Read the pie graph, find the ratio and solve the word problems.